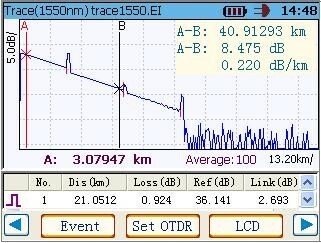 Metro.OTDR-F2 is a good tool for the installation and maintenance of FTTH networks. 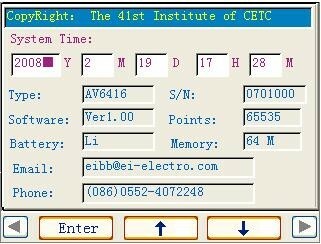 It is a low cost solution compared with other venders and has main interfaces and accessories required in field OTDR to install, discover faults, measure the performance and create advanced reports. Field engineers can troubleshoot running manual or automated tests. 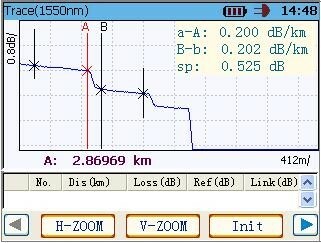 Most of the tests tailored for each type of fibre and users may execute and save curves ready for further analysis. 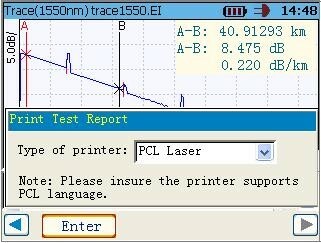 All together will facilitate to identify anomalies in the optical layer. Metro.OTDR-F2 is a high end solution widely used in engineering construction, maintenance test, optical fiber troubleshooting, manufacturing and installation of optical fiber and cables. AT.OTF2.HHA Metro.OTDR.F2. 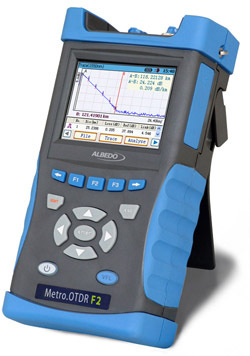 Albedo Metro.OTDR.F2 palm-OTDR for fiber testing. Including 1310 /1550nm and dynamic range of 28/26dB, VFL module, interfaces FC/UPC, battery operated, power adapter and rugged transport case.